BioTek Marine’s Pellet Driver Media Reactors are introduced by Keith Behrle in this new product video. The Tek and Bio series reactors gently tumble the Biopellet Media to attain maximum effectiveness and efficiency in nitrate and phosphate reduction. In this video Keith is utilizes the All-In-One Biopellets from Reef Interests to show the function of the reactor in action. As explained in the video, the BioTek Marine Pellet Driver Reactors are available in 3 different sizes. This is the first of many BioTek Marine product videos. 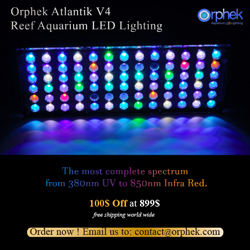 Currently BioTek Marine is available online at Aquarium Specialty, Premium Aquatics and TB Aquatics. You can also click the dealer locator page on the BioTek Marine website to find other retail store locations.